Although his rap career is fairly low-key, Metta World Peace (formerly Ron Artest) is one of the most recognizable professional basketball players in the league, having been so for years, not only for his size and skill (and that infamous elbow), but for his lifestyle outside the game as well, which he airs out via social media on the regular in predominantly comedic fashion. As far as music goes, the last we heard of him was the August 2013 cut "Peace", which was produced by Lucky. Otherwise, he rode the subway to his first game with the Knicks in October 2013, and engaged in a particularly bizarre Twitter "rant" in January 2014. Stay tuned for the further adventures of Metta World Peace, y'all. 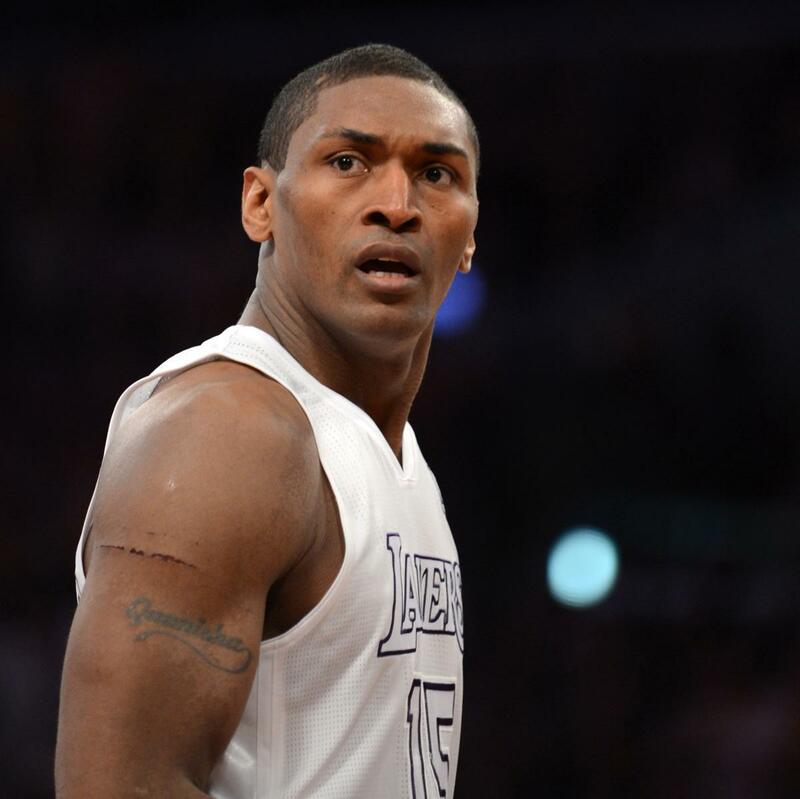 He changed his name from Ron Artest to Metta World Peace in 2011 as a means of inspiring and uniting youth worldwide. He, Elton Brand and Lamar Odom all played on the same Amateur Athletic Union team. Metta World Peace played for the Los Angeles Lakers from 2009 to 2013. He has four children with ex-wife Kimsha Hatfield. Metta World Peace Is Allegedly Good Friends With The Guy Who Started The "Malice At The Palace"